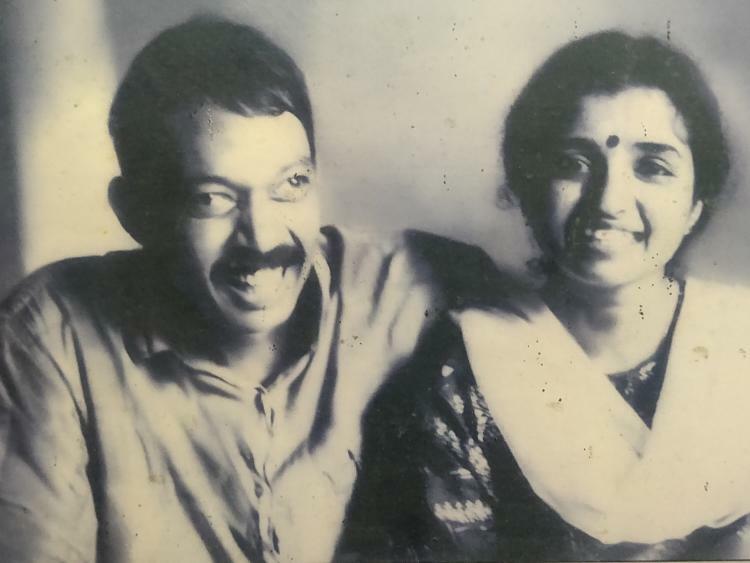 Seena Bhaskar, wife of CPI(M) leader Simon Britto, speaks to TNM after her husband’s death. Britto was paralysed after he was stabbed in 1983, and the couple married 10 years later. Love stories do not end when life is cut short. People who die continue to live on in the memories of those they have left behind. CPI (M) leader Simon Britto passed away on December 31, a day before the dawn of the New Year. Seena Bhaskar, his wife and journalist, is still grappling with the loss – of a man she met when she was just 19. Theirs is a remarkable story, of love, passion and struggle. Seena was not yet 20 when she met 37-year-old Britto in the year 1992. At the time, they called each other ‘comrade’, as is the practice among fellow workers in the communist party. They fell in love with each other, the wide age gap notwithstanding. Such was the intensity of their passion that by 1993, when Seena and Britto got married, he had written her a whopping 600 letters. In a day, Seena would receive two or even three letters at her home in Pirppancode in Thiruvananthapuram. “In order not to be caught by my parents, I would wait for the postman so he could hand the letters over to me directly. In all the letters, he would address me as ‘dear comrade’ and sign off ‘with love Simon Britto’. In the letters, he would discuss politics with me. But in one of the letters, Britto opened up about his love for me. He wrote that he loves books the most, followed by food…and then he added that there’s something else which he loves and doesn’t want to lose but that he was afraid he was going to miss out. He would later tell me that falling in love was not alien or strange for a communist. I was only 19 at the time and I immediately thought of my parents and sister. I knew that I’d have to leave my family if I chose a life with Britto. But I did just that. We got married at a sub registrar office in 1993, October. Exactly 10 years after Britto was stabbed,” she says. Simon Britto died at the age of 64. He lived a life that few could envision, and Seena made a choice that few would make. They embraced life fiercely, ignoring the nay-sayers who often asked Seena vulgar, inquisitive questions about being married to a paralysed man. Simon Britto was stabbed by political rivals in the year 1983, nearly a decade before he met Seena. At the time, Britto was a volatile student leader of the Students’ Federation of India (SFI). He was the district president of the organisation. 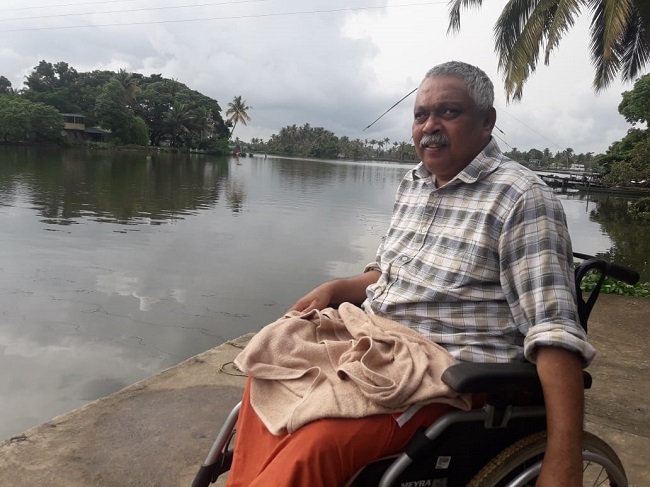 The men who knifed him at the Maharaja’s College, Ernakulam – a stronghold of the SFI then and now – would leave him paralysed forever. It was not easy for the pair to convince those around them. Their families turned their backs to them – the two belonged to different religions, Seena a Hindu and Britto an Anglo Indian. Worse was the curiosity with which people studied them. “People were keen to know not how much we loved each other but if we had had physical relations. If it was possible for Britto. Some used to comment saying women fail to resist sexual temptations even when living with a healthy man, and how was I controlling myself when I lived with someone who was paralysed. Even now, I am being cursed for not converting to Christianity. After we got married, we used to live with Britto’s parents till we built a separate house in 2000. But, our life was mostly outside the house – with our friends across the state, at the place where Britto was taken for treatment, and at the places where he was invited to speak,” she says. It took 22 years for Seena’s family to accept her after the wedding. Britto was a fighter who refused to relent. So is Seena. “He used to live in hospitals for months. In 1997, he was able to stand without crutches and he was able to walk without a walker… but that progress didn’t last for long. But even that didn’t affect him, he was as vibrant as one can be, with a smile on his face. I used to worry about his health, the condition of which was never stable. But all his energy was stored above his shoulders, and he never gave up,” she says. He was a man who never stopped relishing what the world had on offer. Their house was designed by him such that there are long verandahs on all four sides; this is so Britto could move around in his wheelchair and watch the rain, experience nature. While Seena worked as a journalist for the party mouthpiece Deshabhimani and later for a private television channel, Britto wrote books. An avid reader, philosophical books were his favourite. He was the Anglo-Indian representative in the Kerala Assembly from 2006 to 2011. 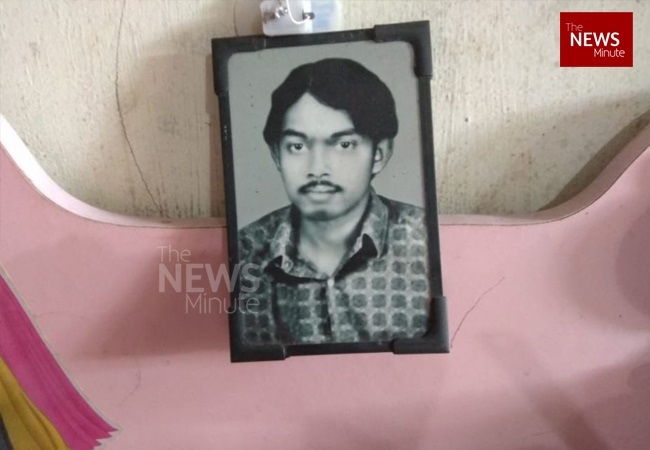 The MLA pension of Rs 10,000 that he used to get was spent in paying Arjun Das, Britto’s attendant from Patna, whom they appointed a few years ago. The rest of the expenses were met by Seena’s salary, and from selling the books Britto had written, five in all. However, Seena lost her job two years ago and the couple’s finances were hit badly. After Britto’s death, Seena donated his body for medical research as per his wishes, a move for which she was criticised. “He had told me that his body shouldn’t be taken to the church for any prayers. The church had denied permission for shooting a documentary about Britto on the premises of the school run by it. He was an alumnus of the school,” she says. The church took this hostile stance because they did not approve of his politics. “The church never approved of his politics. He graduated from St Albert’s College, which is under the church, but since the college didn’t support his politics, his activities were mostly based at the Maharaja’s College campus. For him, the party was everything and he lived a comrade’s life till his last breath. It was the party which handed over his body, not me,” she says. Britto always worried when he heard about attacks on student leaders. And when 22-year-old SFI leader Abhimanyu was killed at the Maharaja’s College campus in 2018, he was deeply saddened. Abhimanyu used to visit the couple often and Britto was keen that the young man, who came from a humble home, was given a good meal whenever he stopped by. In 2006, the couple decided to have a child – yet another decision which was not easy. Their baby was born through in vitro fertilisation, and the couple named her Kai Nila. They call her Nilavu, meaning moonlight. For Nilavu, Britto was a friend even though she called him ‘Abba’. Actually, most times, they would call each other ‘edo’ and ‘thaan’, as friends do. Britto would regale his daughter with many stories, always wanting to take her along in his journeys. Towards the end of his life, Britto would tell Nilavu that he would die within 10 years. But Nilavu remained hopeful. 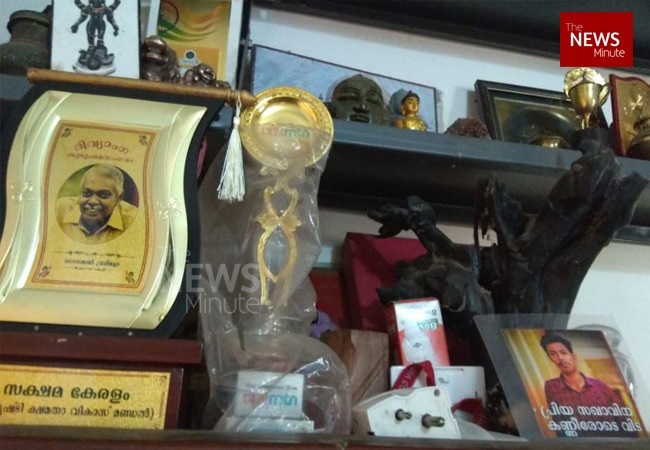 His last speech was on November 25, for the commemoration day of the Koothuparamba firing which killed five DYFI workers, injuring a man named Pushpan , who has been bedridden since. 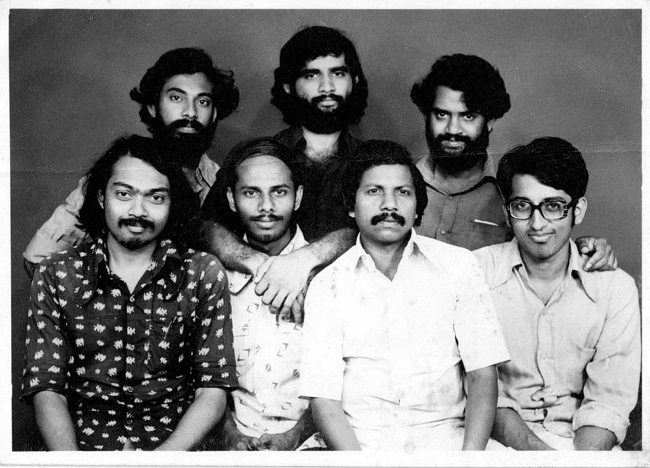 “Britto and Nilavu went to Broadway in the city a couple of days before his death. They bought five shirts for Britto from street vendors. Britto was keeping them to wear for their next trip to Mankulam…” Seena says, tears shining in her eyes. 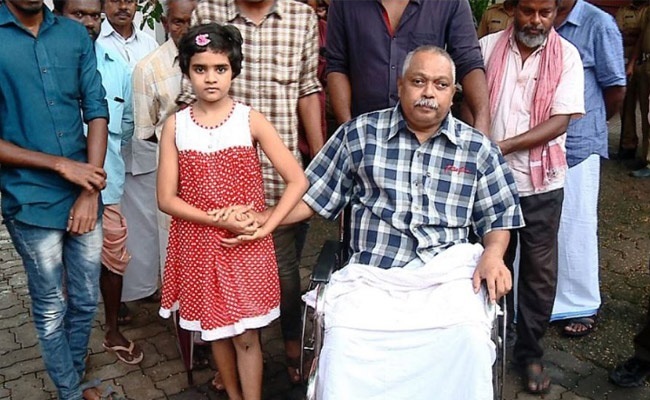 And how is Nilavu is coping with the loss of her Abba, her friend? “She is stronger than I am. Whenever my eyes turn wet, she comes and consoles me saying Abba wouldn’t like seeing me looking down. But for me, I have lost the strong wall in my life; the one who took care of me like a mountain nurtures its flora and fauna. There were days when we were not together physically, but he was there at the other end of the phone. He would call me to share even a joke, he was never able to hide anything from me. But our discussions were mostly about politics and society. The personal came the last,” she says.